Boiling up some water on a cold morning. It’s a sight right out of the old frontier, a cooking fire with some game roasting on a wooden spit supported by two forked sticks. 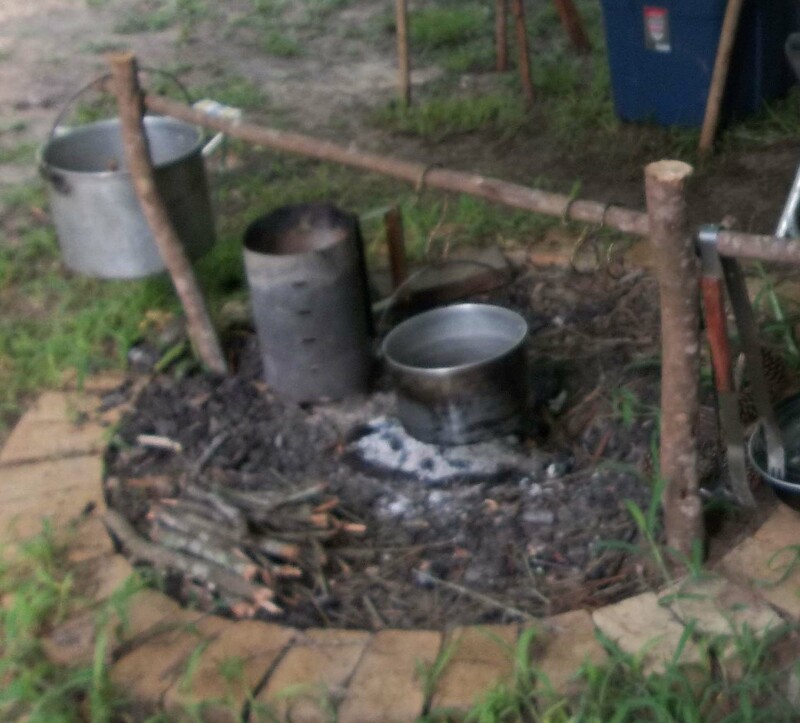 It’s easy to make, and the wooden spit is often a crossbar from which pots are suspended for boiling water and cooking food. In the photo to the left, the forked sticks are placed outside the fire ring and round lashed to two pioneering stakes driven into the ground deep enough to hold the sticks upright (click on the photo to catch the detail). As this photo shows, if the crossbar is long enough, one side of the fireplace can be set up to simultaneously cook food over coals on a grill, in a frying pan, or in foil packets. If the fireplace is to be used for a campfire, and the crossbar is not needed, it can simply be lifted off and set aside. 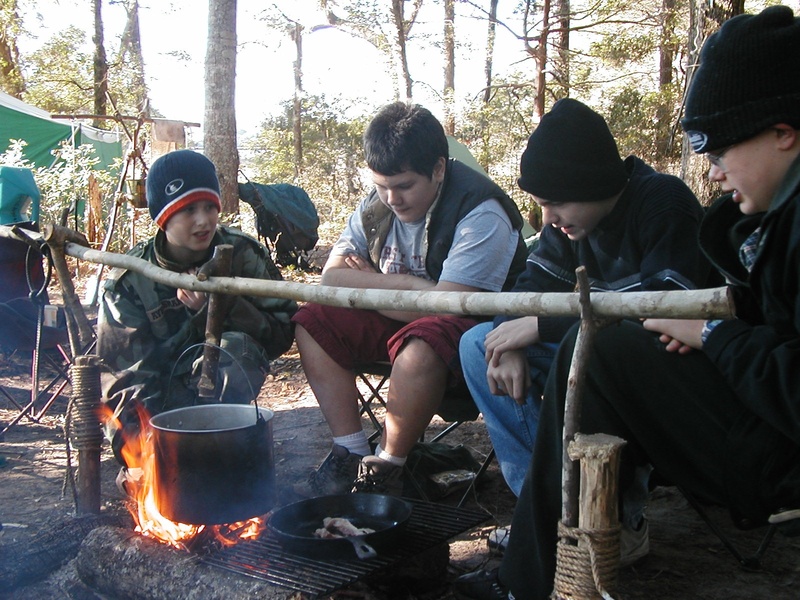 This old fashioned camp gadget can also be set up without any lashing, as seen in the photo to the right. Just find a couple of straight sticks with a branch growing out at about 45° and saw them to size. (Procure them in a conservation-minded way!) Sharpen the bottom and the forked sticks can be hammered directly into the ground without breaking. Once fashioned, these two prepared straight sticks, along with the crossbar, can be reused repeatedly on future front country outings. They’re a whole lot more portable than other gear that’s carted into a campsite, and very functional.